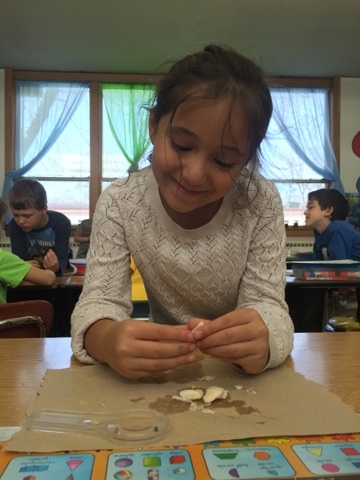 Our incredibly generous PSO provided Euro Gardens for all first grade classrooms so we're growing an herb garden. 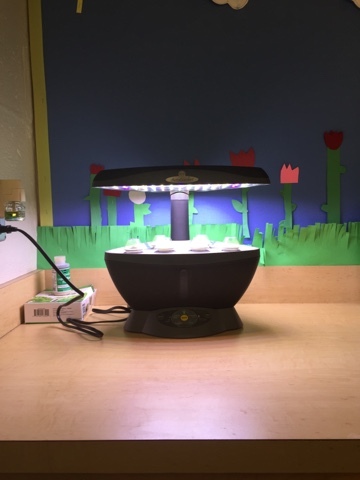 As soon as the kids arrive in the classroom each morning, they dash over to the classroom sink area to check on the plants! 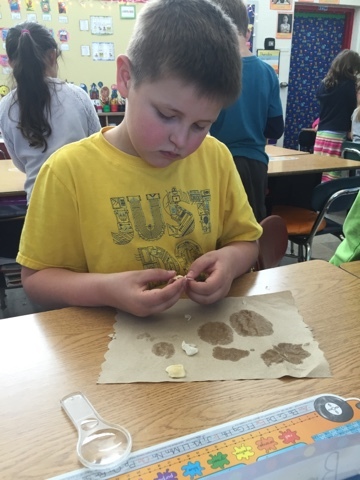 Last week we dissected seeds before planting pea and bean seeds. We're integrating the planting project with math and measuring and tracking plant growth. Partners spent time reading through a Scholastic News magazine about strawberry plants. 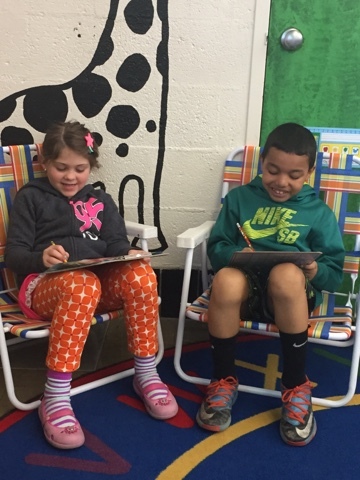 This class LOVES poetry! During self-selected reading, the poetry shelf gets a lot of visitors. Jack Prelutsky is a huge hit - especially Zoo Doings. 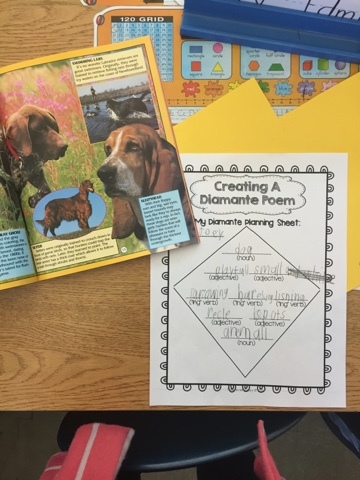 During the past two weeks, we made time for acrostic and cinquain poetry. Although we used a planning sheet from another source this year, Read, Write, Think has wonderful examples of cinquain poetry, as well as a planning sheet and page for reflection. 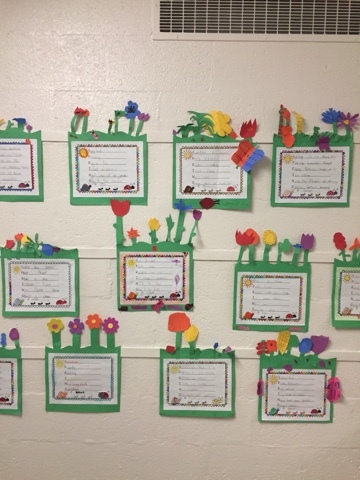 Our acrostic poetry had a spring theme and created a beautiful hallway display. 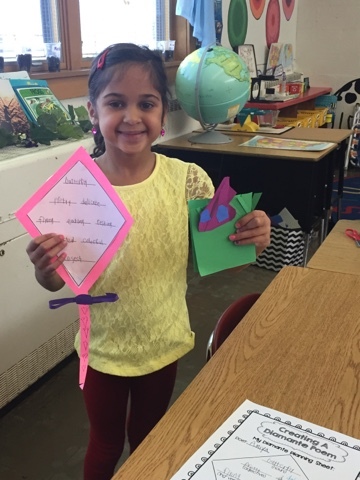 The inspiration for this poetry craft was Planting a Rainbow by Lois Ehlert. Students used the colors of the rainbow to create their garden (page topper). 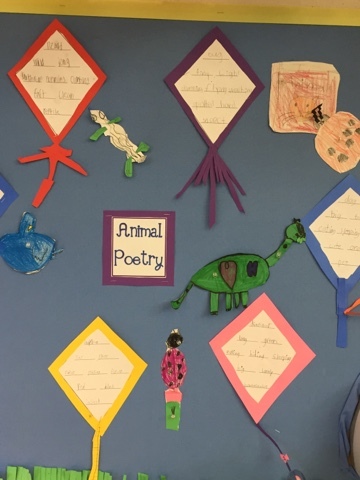 I chose animals for the subject of our cinquain poetry project to tie into our study of animal adaptations and habitats. 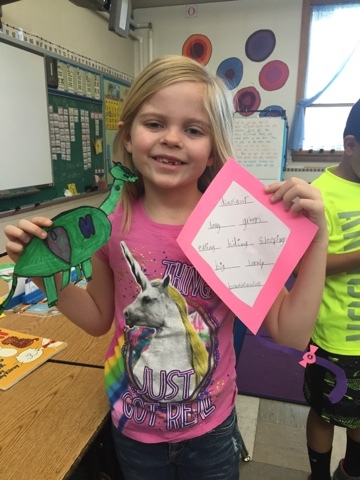 Students created animals from paper scraps before planning their poems. A few consulted books in our classroom library during the planning process. So proud of their awesome work! And now, we're looking forward to Earth Day and Earth Week celebrations!